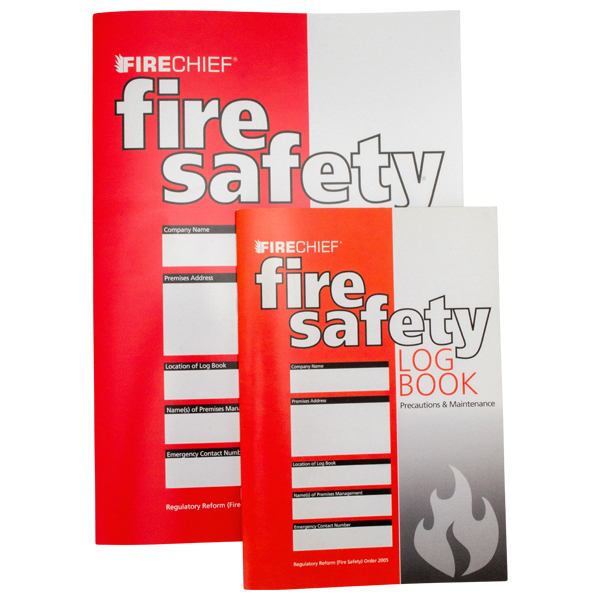 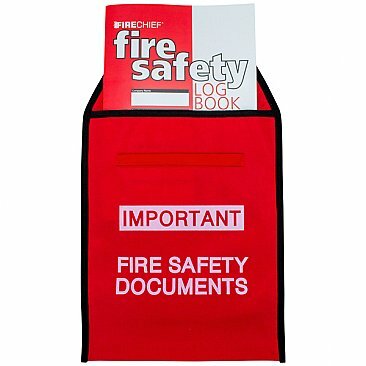 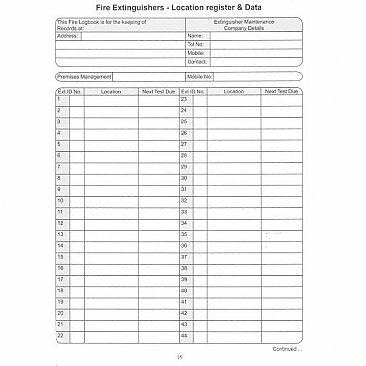 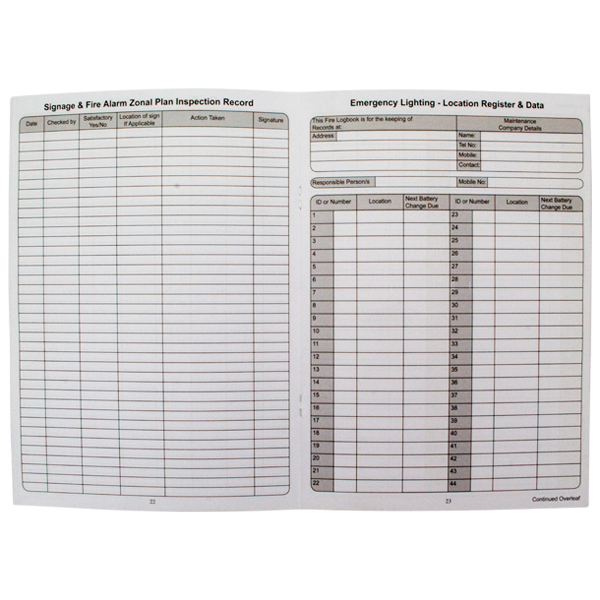 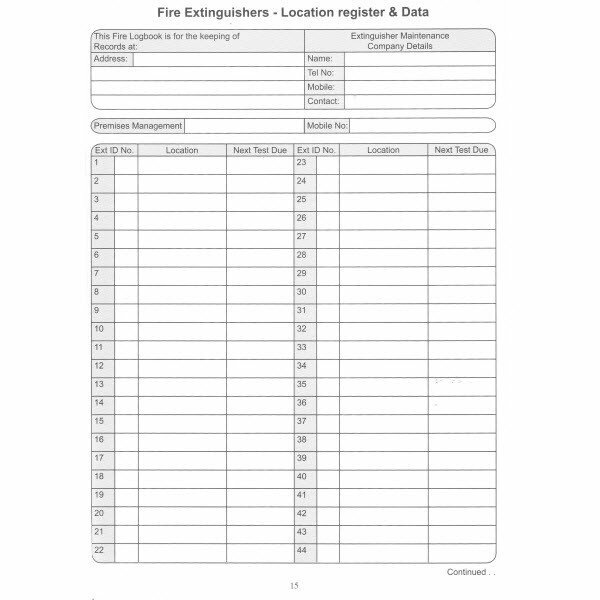 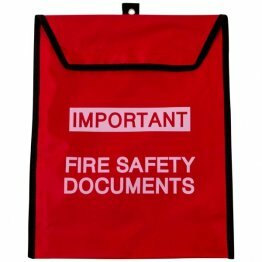 All business premises should have one and our fire log book enables accurate recording of all your fire safety matters, such as your procedures, inspection and maintenance log. 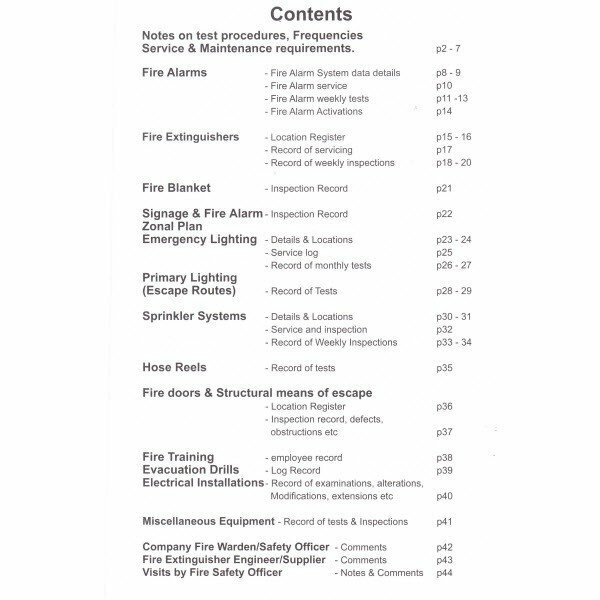 With 36 pages in total, the book is available in a Full-sized, A4 version, or in a Mini A5 size. 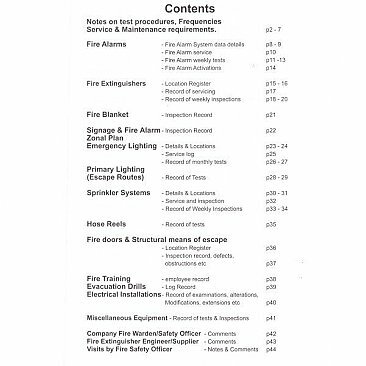 This includes sections for extinguishers, fire alarms, emergency lighting, sprinklers, evacuation drills and fire training. 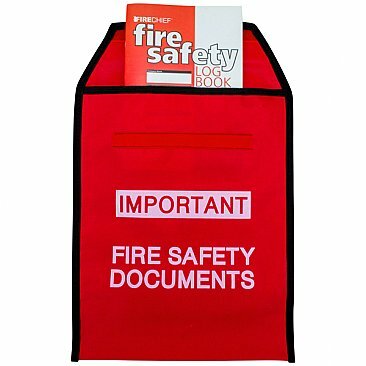 When kept in a location which is easy for all to find when needed, it allows you to quickly show that you're on top of your responsibilities are doing everything possible to prevent and prepare for a fire. 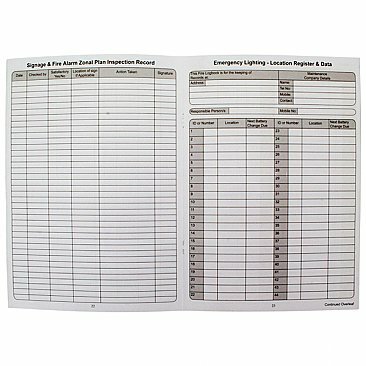 With 36 pages in total, the book is available A4 sized.